Law360, New York (November 3, 2016, 10:09 PM EDT) — A Utah federal judge on Thursday gave the final nod to a settlement between Garmin Ltd. and a class of consumers alleging that a model of its sports watches is defective and comes apart during use, including $385,000 in attorneys’ fees. Under the terms of the deal, class members can who bought a Garmin Forerunner 610 between April 2011 and July 2014 can have the watch or the watchband repaired for free or replaced; those who have already paid to fix their watch can receive $50 to $75 back under the terms of the settlement. U.S. District Judge Robert Shelby said that the settlement provides “significant value, both monetary and non-monetary” to the classes. “The court hereby grants final approval of the settlement on the basis that the settlement is fair, reasonable and adequate to the settlement classes,” the judge said. In addition to the attorneys’ fees, the judge also approved incentive awards of $1,250 each to class representatives Andrea and Joel Katz. The Katzes filed suit in March 2014, claiming that that the watches are defective because the wristband separates from the watch while the user is running or participating in other physical activities, according to the complaint. “The plastic watchband has an unacceptable rate of failure in that it detaches from the Forerunner 610, resulting in the loss or damage of the watch or the need for the consumer to spend his/her time and money to replace or fix the plastic watchband,” the complaint said. Andrea Katz bought a Forerunner 610 watch for $350 as a gift for her husband because of its ability to track distances, navigate routes and monitor a variety of weather conditions, the complaint said. Garmin’s marketing materials tout the “suitability of the Forerunner 610 in a variety of intense physical activities, including its ability to conduct ‘interval training,’ analyze bicycling and running routes, and measure aerobic fitness,” the complaint said. When her husband used the watch while running, however, the plastic wristband detached from the watch as a result of the metal pins falling out or breaking, the complaint said. He brought the watch into the Garmin store to be repaired, but the same thing happened again three months later. The third time the watch came apart, the Garmin salesperson recommended he buy a more resilient Velcro band at his own expense. Garmin knew or should have known about the defects in the design and manufacturing of the watch, the complaint said. 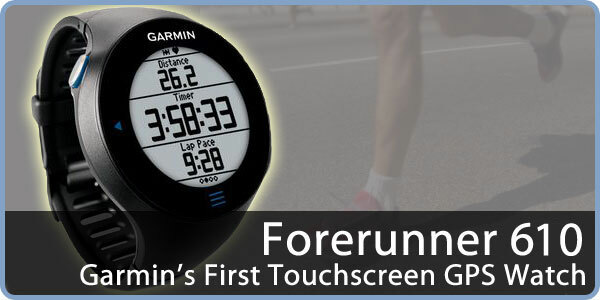 Despite its knowledge, Garmin refused to recall the Forerunner 610 or replace the plastic wristbands for free. According to the complaint, there are tens of thousands of potential class members who bought the watches. On Amazon.com, there are more than 300 reviews and nearly 10 percent of those report the same problems, the complaint said. A representative for Garmin declined comment. The consumers are represented by Mark F. James of Hatch James & Dodge PC and Richard D. Heideman, Noel J. Nudelman and Tracy Reichman Kalik of Heideman Nudelman & Kalik PC. Garmin is represented by Peter W. Herzog III of Wheeler Trigg & O’Donnell LLP, Kenneth Mallin and Jena M. Valdetero of Bryan Cave, and Francis M. Wikstrom and Zack L. Winzeler of Parsons Behle & Latimer. The case is Katz et al v. Garmin Ltd et al., case number 2:14-cv-00165, in the U.S. District Court for the District of Utah. Posted in Class Action, Recent News on November 3, 2016 by hnklaw.